​Adam "Pacman" Jones has a detailed and storied ​NFL past, no doubt. Whether it be Tennessee, Dallas, Cincy or Denver, the 14-year corner has made headlines everywhere he has been. Those headlines have not always been positive, unfortunately. Those media headlines and waves of attention continue for the former Pro Bowler. Jones has now agreed to a plea deal to resolve charges against him ​stemming from his arrest at a casino last month. Just some of the charges included cheating at gambling, attempted theft and disorderly conduct, among other counts. 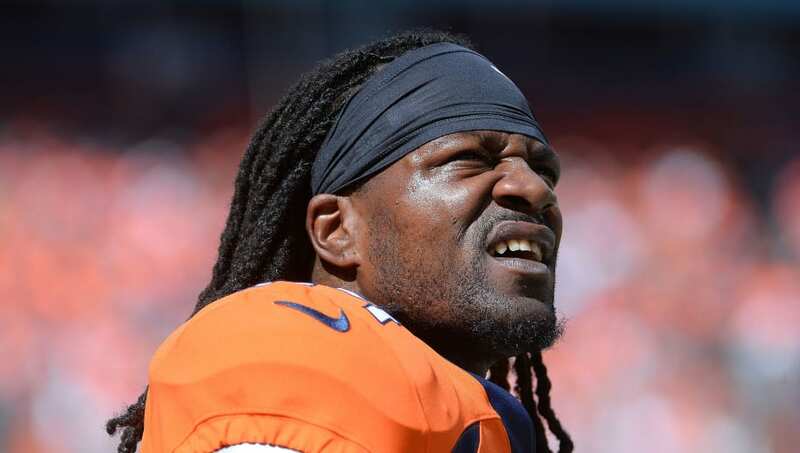 As a result of the plea agreement, ​the former Broncos corner avoided having to face five additional felony charges that had been recently levied against him. Jones will head to jail for 10 days and won't be allowed to drink alcohol for quite some time. Man, could you imagine that pair teaming up again? Burfict's new teammate Antonio Brown must be shuttering to think what practice would be like if Pacman joined the Raiders. For now, however, Jones has to worry about putting his legal matters behind him, and then he can proceed to focus on securing a job for the upcoming NFL season.